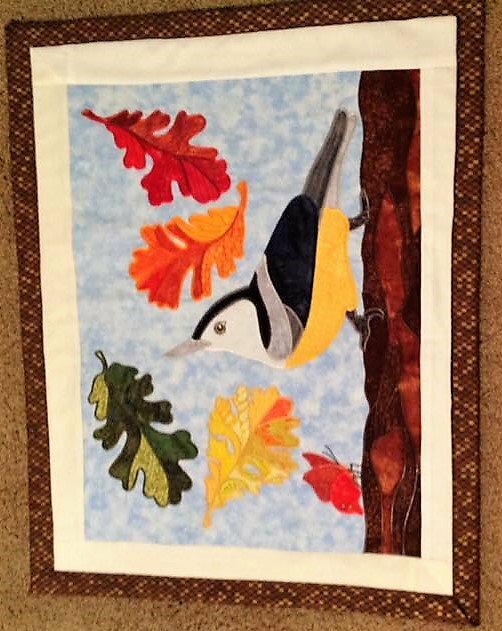 Autumn Nuthatch designed by Darcy Ashton of Ashton Publications for Anna's Awesome Applique. 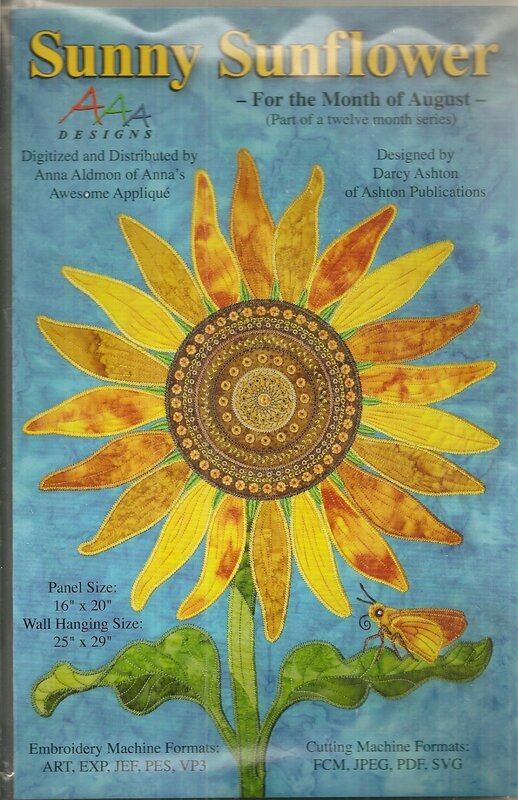 Foxglove Flutter designed by Darcy Ashton of Ashton Publications for Anna's Awesome Applique. 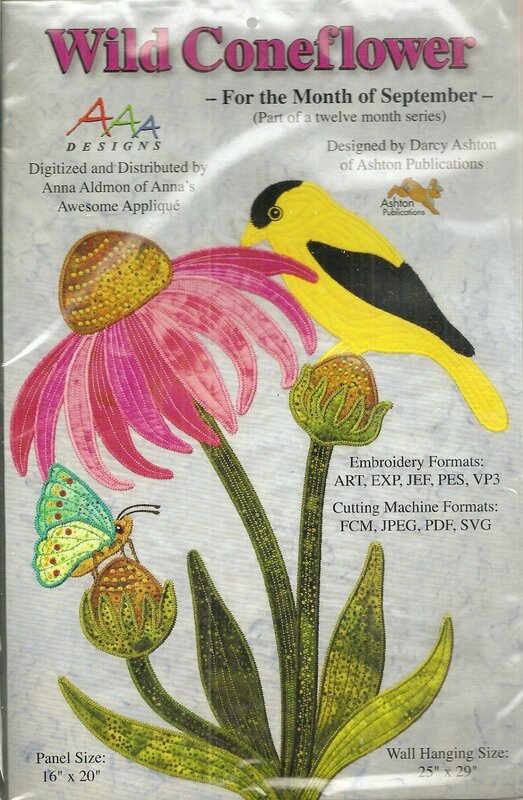 Hummingbirds with Amaryllis designed by Darcy Ashton of Ashton Publications for Anna's Awesome Applique. Morning Glory designed by Daracy Ashton of Ashton Publicatons for Anna's Awesome Applique. Partridge & Pear Tree designed by Darcy Ashton of Ashton Publications for Ann's Awesome Applique. Pumpkin Stack from Anna's Awesome Applique Designs For the Month of October (Part of a twelve month series). 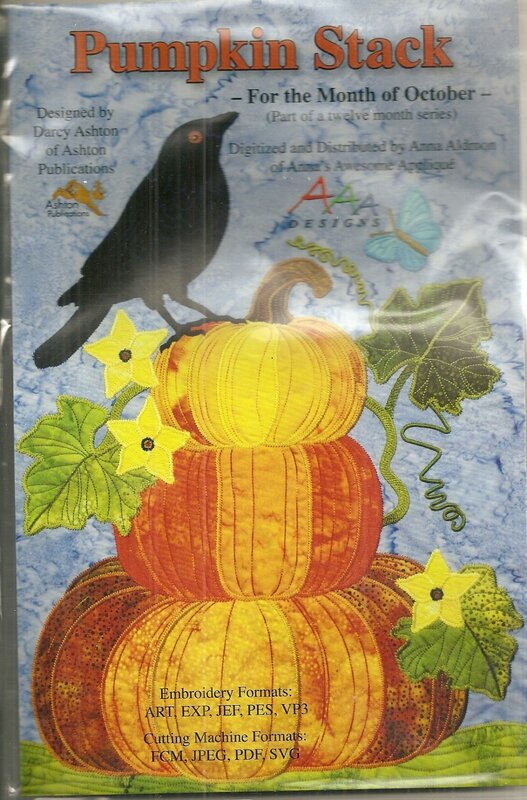 The October block includes three stacked pumpkins a butterfly and a black crow. The various shades of orange make this block perfect for Fall. Snow Crocus designed by Darcy Ashton of Ashton Publications for Anna's Awesome Applique. Wild Coneflower from Anna's Awesome Applique Designs For the Month of September (Part of a twelve month series). The September block includes a butterfly a goldfinch and a coneflower.